This sample Accommodation E-Lert was posted on April 25, 2019 within the category "The legal duty on employees". 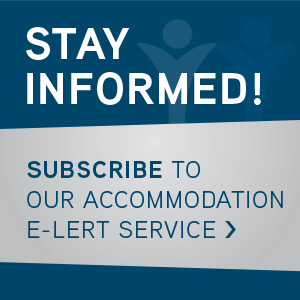 A one-year subscription to Accommodation E-Lert provides instant access to the latest cases on the duty to accommodate in Canada and their impact on the unionized workplace. A New Brunswick arbitrator dismissed a union grievance against the termination of an employee with a history of excessive absenteeism. The arbitrator held that the employee’s poor work attendance had breached the last-chance agreement, and his claim of a disability was not supported by any medical evidence. United Steel Workers, Local 7085 v. Glencore Canada Corp. (Arseneau Grievance) (2018), 296 LAC (4th) 430, 2018 CanLII 118727 (Filliter); New Brunswick Labour Arbitration, November 8, 2018. Jean-Louis Arseneau had been employed since 1980 by Glenmore Canada, which operates a metal smeltering plant near Bathurst in northeastern New Brunswick. In 2007, Mr. Arseneau went on a disability leave. He returned to work briefly in 2008, and then was off work again for the next eight years. The insurance carrier deemed that he was fit to return to work in early 2016. Mr. Arseneau reported for work in February 2016 under a Graduated Return to Work protocol (GRW) and subsequently reached full-time hours. In 2009, the employer had created an Attendance Management Policy (AMP). It underwent several changes in the succeeding years, including the addition of a paragraph affirming the employer’s duty to accommodate employees with a disability. The final version of the AMP also outlined the responsibility of employees, which included attending work, providing notification of the inability to report to work and, in certain circumstances, providing proof of illness. The most significant aspect of the AMP was the creation of an attendance management program when the level of innocent absences of an employee exceeded a 4% trigger point of the scheduled hours for the employee. The program included a five-step process when the employee – as his or her attendance continued to be a matter of concern – proceeded through various counselling stages, a last chance agreement (LCA), and ultimately a termination. After his return to work in 2016, Mr. Arseneau’s attendance exceeded the 4% trigger point. Indeed, between April and June 2016, his absenteeism rate exceeded 80%. The employer placed him into the attendance management program, and he began the counselling sessions. At his first session, the employer informed him about the workplace employee assistance program, and the availability of accommodation if the employee was eligible for it. Mr. Arseneau made no mention of having a disability or requiring accommodation. Through the remainder of 2016 and into 2017, Mr. Arseneau’s attendance rate at work improved, but remained well above 4%. He proceeded through the second and third stages of the attendance management program. Again, he made no mention of any need for an accommodation. In late 2017, the employer elevated Mr. Arseneau to the fourth stage of the attendance management program after noting that his absenteeism rate persisted above 4%. The labour relations manager told him that he was now on a last chance agreement, and he would be subject to termination if his attendance did not improve. Alas, his attendance did not improve – in the first three months of 2018, his absenteeism rate stood at 48% – and he was terminated in April 2018. The union grieved his termination. At the arbitration hearing, the grievor stated for the first time that he had been suffering from depression, as well as an injury to one of his legs. The news was a surprise to both his employer and his union. Before the arbitration, the union argued that Mr. Arseneau suffered from a disability – the depression – and that he should be accommodated for this at work by making allowances for his absenteeism rate. It also maintained that, given the grievor’s long seniority and the fact that he was only 18 months away from retirement eligibility, he should be permitted to be reinstated with clear conditions. The employer justified its termination of Mr. Arseneau for innocent absenteeism on the grounds that he had failed to meet the legitimate expectations of employee attendance as set out in the AMP, that he had progressed through the program with the company’s attendance targets clearly explained to him, and that it had set out the accommodation duty to him at each stage, with no take-up from him. It argued that the best predicator of future behaviour is past behaviour, and Mr. Arseneau had offered no realistic hope that his attendance in the future would be any different from his past patterns. Arbitrator George Filliter emphasized the importance of the multi-party obligations when it comes to fulfilling the duty to accommodate. He concluded that the grievor’s role from his return to work in 2016 up to his termination in 2018 had been less than helpful. He only revealed his depression at the arbitration hearing, and he did not produce any medical evidence to either confirm the diagnosis or to outline his need for an accommodation. 100. Had the grievor been more forthright from the outset, it may be the eventual outcome would have been different, but we will never know for sure. 101. The grievor cannot expect this board to consider this new evidence and effectively usurp the responsibility of the employer in the administration of the AMP. 102. Consequently, and for all of the reasons above, I conclude the grievor did not convince me the employer had failed to accommodate his needs. In fact, I conclude even after finally proffering evidence of a potential disability, the grievor failed to offer any evidence of the type of accommodation he required. 103. So, the grievor did not do his part in the multi-party obligations required when one claims the employer owes a duty to accommodate. The arbitrator then considered whether the employer had cause to terminate Mr. Arseneau. He noted that the grievor’s attendance had been consistently excessive: at least four times the average of other employees. As well, the employer had regularly counselled him, and both warned him of the consequences of not correcting his attendance record and advised him of the possibility of an accommodation. He held that, notwithstanding the fact that Mr. Arseneau had not signed to the LCA, he was bound by it because it had been plainly explained to him. 114. In this case the grievor testified he still suffered from depression and had leg pain sufficient to make him miss work in the past. What he did not testify to was how he intended to improve his attendance given the existence of these conditions. 115. In particular, it is noteworthy no medical evidence was adduced to support the contention of the grievor that he would improve his attendance or be a “model employee”. 116. In my view, the grievor made no effort to provide evidence of how he intended to improve his attendance. 122. Finally, I cannot ignore the evidence of the history of the grievor, which may be considered to be the best indicator of the future…In this case, there is no doubt the grievor has had a lengthy history of significant absenteeism. Based on the lack of any redeeming evidence, the arbitrator upheld the termination and dismissed the grievance. This is a case where the employer took every reasonable step both to allow the grievor to improve his very troublesome attendance record and to explain to him the availability of an accommodation if he could establish the nexus between his absenteeism and a disability. The arbitrator noted that the employer’s AMP allowed the grievor approximately 12 months to turn his work life and his mental health around, and he failed to grasp the opportunity. Having crossed and dotted all of the accommodation ‘t’s’ and ‘i’s’, the employer’s case at arbitration was rock-solid. Had the grievor provided medical confirmation of his disability, as well as reliable and credible medical evidence for how he could achieve a successful return to work with minimal absenteeism problems, the outcome in this case may well have been different. In these circumstances, unions would be acting in the grievor’s best interests by explaining to him or her what the duty to accommodate entails, and why the grievor should reveal, at the earliest opportunity, any disability to the union which may be contributing to the innocent absenteeism. Doing so puts the union and the grievor in a position to seek medical help, and a viable path forward at arbitration. Otherwise, the chances for success would be grim.